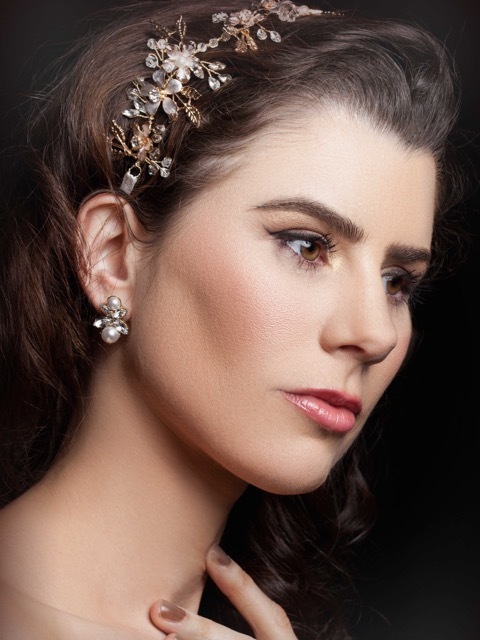 Dare to be different, are you brave enough to wear some colour for your wedding day accessories. You know what, who says you can’t wear these earrings every day! These special earrings have been designed to stand out. 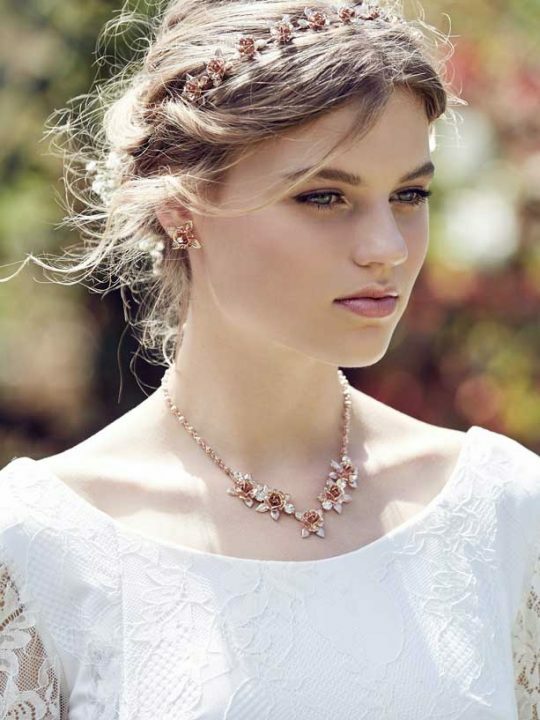 For the bride that isn’t afraid to be different. 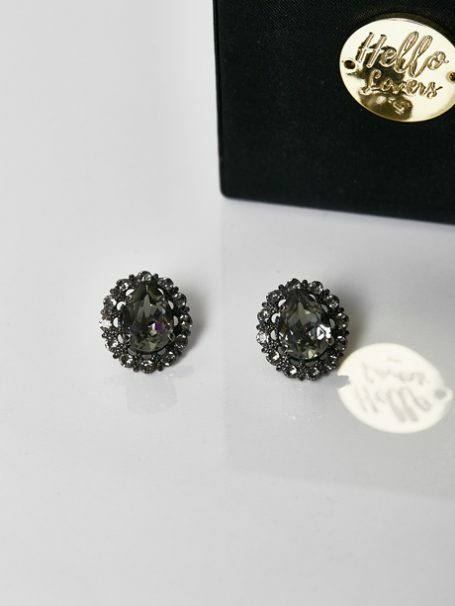 These stud earrings with a large pear drop swarovski crystal surrounded by smaller little crystals. 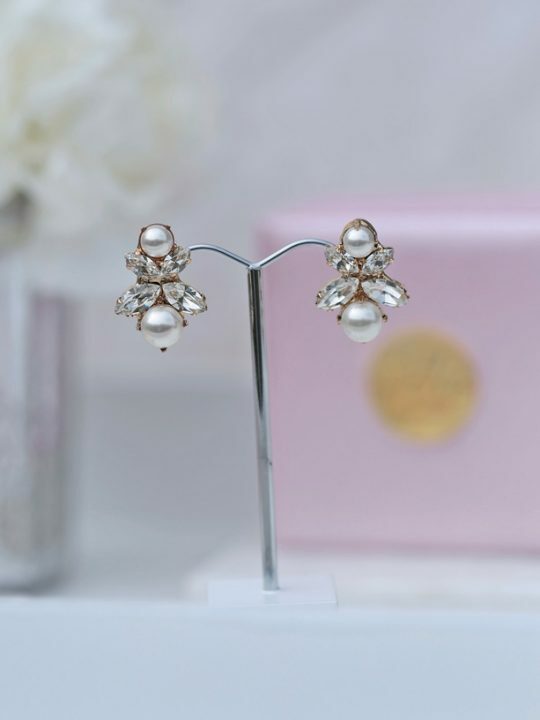 We also have the same Spring time wedding earrings in silver and they are just as divine. How about if you gift these black wedding earrings to your bridesmaids. A thoughtful gift that can be worn again and again. Is your wedding colour theme ivory and black or white and black? Match these black wedding earrings with our Spring time wedding ring in black. Or do what we did for our photo shoot and add a black belt and black shoes with your ivory dress. Check out the Hello lovers collection of lace wedding dresses. All our earrings come packaged in a silk pink box that will keep your sparkling treasures safe for many years to come.